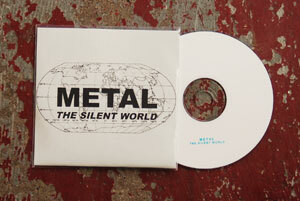 We just got a few of these in from Wolf Choir. 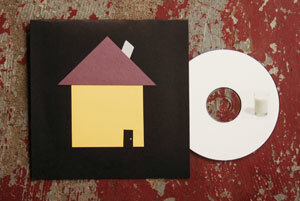 Limited Edition of 25 Hand Numbered Prints by Aaron Shepherd and Weston Smith. 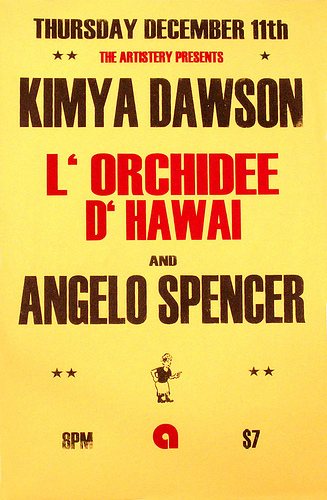 This Hand Printed Show Poster is from the December 11th 2008 at The Artistery featuring Kimya Dawson, L’Orchidee D’Hawai, Angelo Spencer and Thollem McDonas. Thollem’s band included Arrington De Dionyso and Ben Hartman (of Old Time Relijun) and Tim Duroche. Thollem McDonas and band were added after the poster had been printed and so are not listed. All layout by Eric Adrian Lee. 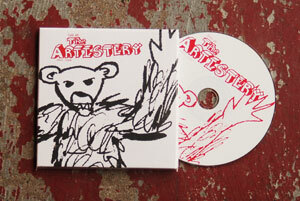 10-track CD recorded, performed and printed almost entirely at The Artistery by Luke Mahan’s bare hands, this album can only be described as “Tweefolktronic,” unless you can think of something better. 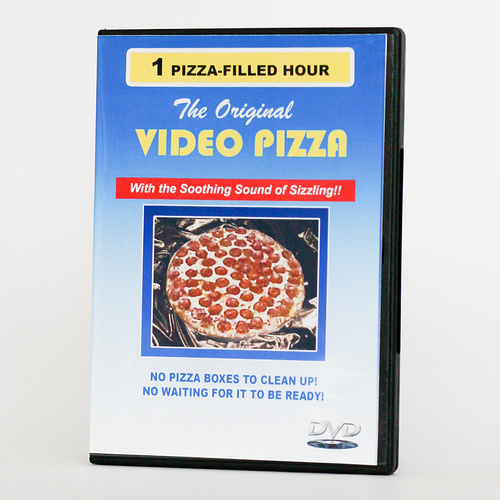 It’s 47 minutes long, if that helps. Listen to some choice tracks at his Myspace right now. Hand screened image of Glen Danzig wearing an Artistery sash, and the words “ALLDOCUMENTED. 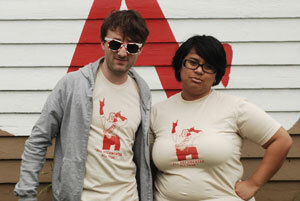 ALL TRUE.” Red ink on natural AA shirt, sizes L only. 19-song CD done up nice with a booklet of reminiscences and a cd of live music from Mount Eerie, Thanksgiving, A John Henry Memorial, Watery Graves, Karl Blau, and more recorded by Aaron at Artistery shows. 18. 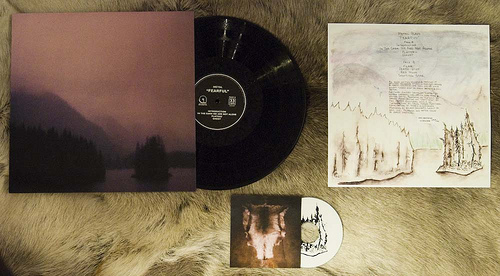 Mount Eerie – Where? 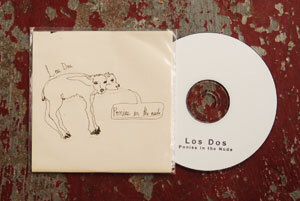 5 song CD by Weston’s project The Land of Milk and Honey. Recorded and performed by him at the Artistery. Handmade packaging! Sweet lo-fi sound! I thought these nickels were quarters! This is a cute little number created by Aaron Shepherd and Laura Hartman. If you know Spanish, you might know a lot of the words. Some of them are in English, though. An homage to Jacques Yves Cousteau and his legacy. 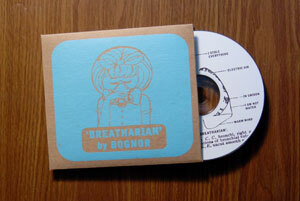 Handstamped CDR in plastic sleeve. Moving.